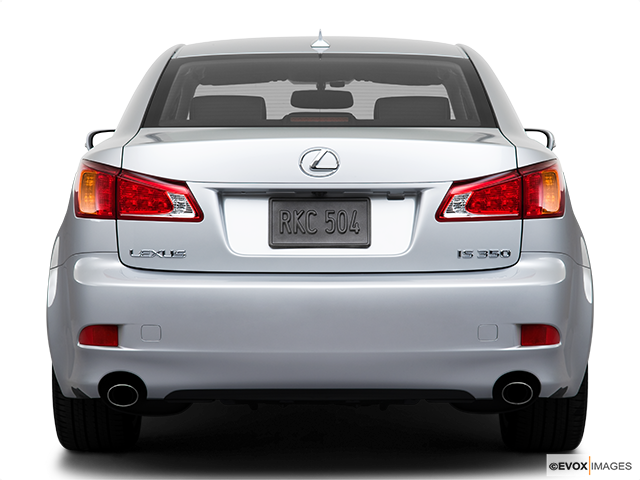 Lexus IS350: An adrenaline-pumping sedan that's complemented by dynamic styling. Equipped with a 3.5L V6 engine. There’s plenty to love about the Lexus IS350 and just some examples include all-weather capability, superior ride quality and a very comfortable cabin. Keep reading to learn more about this great car. 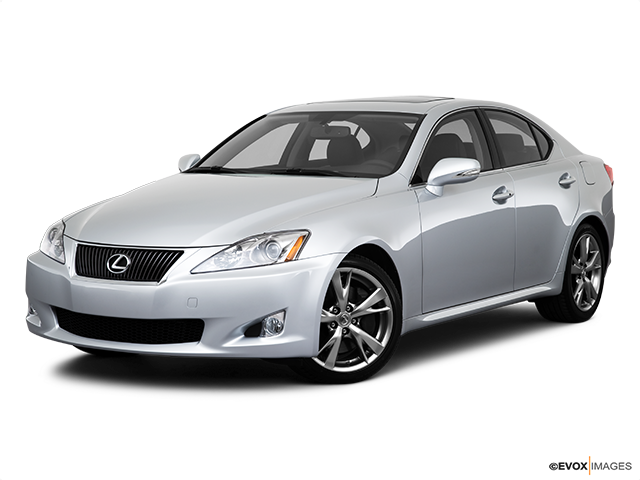 Lexus’ IS series have always been astonishingly compelling cars and incorporated some of the first serious enthusiast-based models within the luxury automaker’s lineup. Luxurious and sporty cars from Japan were a rarity in North America when the series was first introduced in 2001. Basically a rebadged Toyota Altezza, the original IS300 quickly became a hit thanks to its creamy 6-cylinder engine from the larger Lexus GS300 sedan. The original IS remains one of the most lauded vehicles Lexus has ever produced amongst Japanese performance car enthusiasts to this day, and the new Lexus IS350 continues the tradition of admiration. Taking a quick look under the IS350’s hood will reveal a 3.5-litre V6 tuned to put out 306 horsepower and 277 lb.-ft. of torque, meaning it is more than respectably powerful. Paired with a six-speed automatic transmission, the IS350 also offers steering wheel paddle shifters, which amps the fun-to-drive factor considerably. Although innately already plenty powerful to provide good times behind the steering wheel, there’s an optional F Sport package available that adds such features as a sharper throttle and transmission, as well as an adjustable suspension when thrown into Sport+ mode. This package is ideal if you’re looking to unlock the car’s potential to the max, in addition to the IS350 already being a year-round commuter as a result of its full-time AWD. 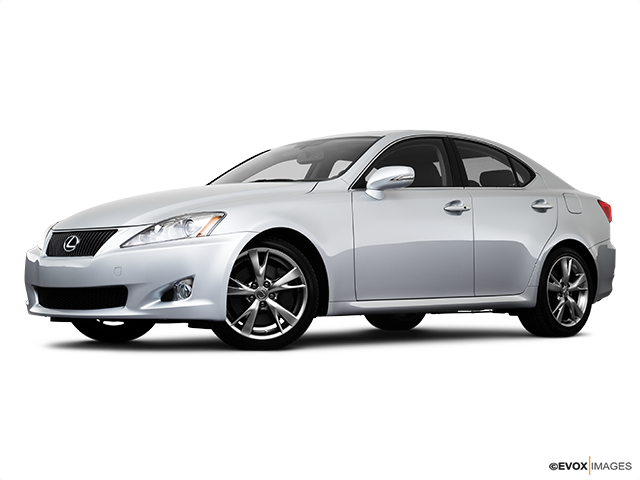 As you’d expect from the luxury division of Toyota, the IS350 incorporates a very upscale cabin. Right up to snuff with the best luxury sedans on the planet, the fit and finish, as well as quality of materials found inside the cockpit are outstanding. Contrary to its European competition, the design of the interior is much less business-like and that represents an advantage in this segment. What this means for the passengers is that the overall visual effect of the IS350’s interior is that it makes you believe you’re inside a car that costs twice as much as the actual price. Five are able to sit comfortably in the IS350 and the seats are well-bolstered for commuting. As always, there’s a plethora of standard equipment you can expect to have in the IS350, examples of which include forward collision warning with automatic emergency braking, lane departure warning, adaptive cruise control, a 10-speaker audio system, premium vinyl upholstery, a sunroof, dual-zone climate control, keyless entry and ignition. Optional bells and whistles are as abundant as well, and just some of them include heated outside rearview mirrors, blind spot monitor with rear traffic alert, a backup camera, adaptive variable suspension, heated and ventilated seats with unique trim, 5-spoke wheels, unique exterior and cabin trim, and a Navigation/Mark Levinson premium audio package with 5.1 surround. Quality That Speaks for Itself Whether you’re a fan of Lexus or not, the IS350 is guaranteed to appeal to at least one side of your inner driver. It can be any number of things, really: a luxurious, comfortable and quiet sedan experience, a smooth V6 engine, standard safety features or upscale cabin. AWD is ideal for those who live where things often get slick, all of which amounts to one conclusion and one conclusion only: the Lexus IS350 is truly a remarkable car promising to become just as legendary as its 2001 pioneer cousin.